One of the first & most vital for me is a good quality hand cream. I tend to get skin peeling away from the areas under my two rings (middle finger on left hand and my ring finger on right hand) and the winter weather does not make it any better. However, by using the following hand cream(s) I find that they really help to heal the skin and also by giving my fingers a break at night when I go to sleep. Right now the Vanilla Brûlée Hand Cream by The Bodyshop is my favourite. It is a thick creamy consistency, yet soaks into the skin really quickly and doesn't leave your hands feeling sticky or oily. It smells gorgeous too and is not a bad price at all, especially since only a pea sized amount is needed! I was kindly given this in a goodie bag from The Bodyshop themselves (which you can read more about HERE) but have not had any success finding it on their website. Additionally, you can pop into one of their stores and pick one up or you can view their Vanilla Brûlée Range here and their full hand cream range here. The other thing I think you need for your hands, is an oil or butter cuticle/hand cream. 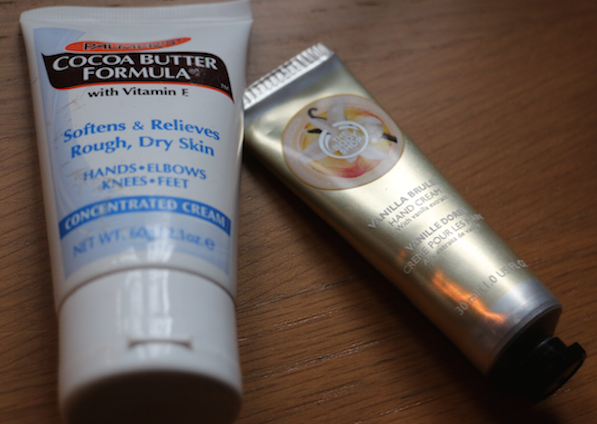 I also like to use the Palmer’s Cocoa Butter Formula that is targeted for hands, elbows, knees and feet. This is great as it tackles a number of different areas as it softens and relieves any dry skin. It too is a great item, and I would definitely say it's a winter essential if you suffer from the harshness of winter like me. My lips can get quite dry during the winter months as I discovered last year so to prevent it this year, I have been applying lip balm religiously. 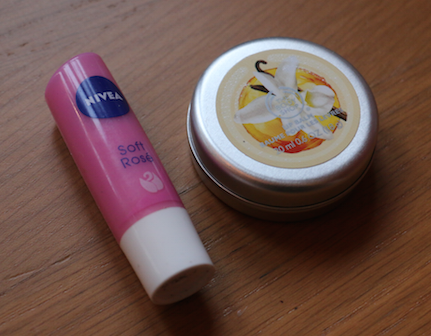 My favourites are the Vanilla Brûlée lip balm, again from The bodyshop and Nivea Soft Rose lip cream. I always carry these about with me in my bag. I am also aware that a lot of people recommend using vaseline, but I tend not to as it doesn't hydrate the skin, instead, it makes a greasy barrier which can make lips even worse. I am sure you have heard this over and over again, but drink lots. 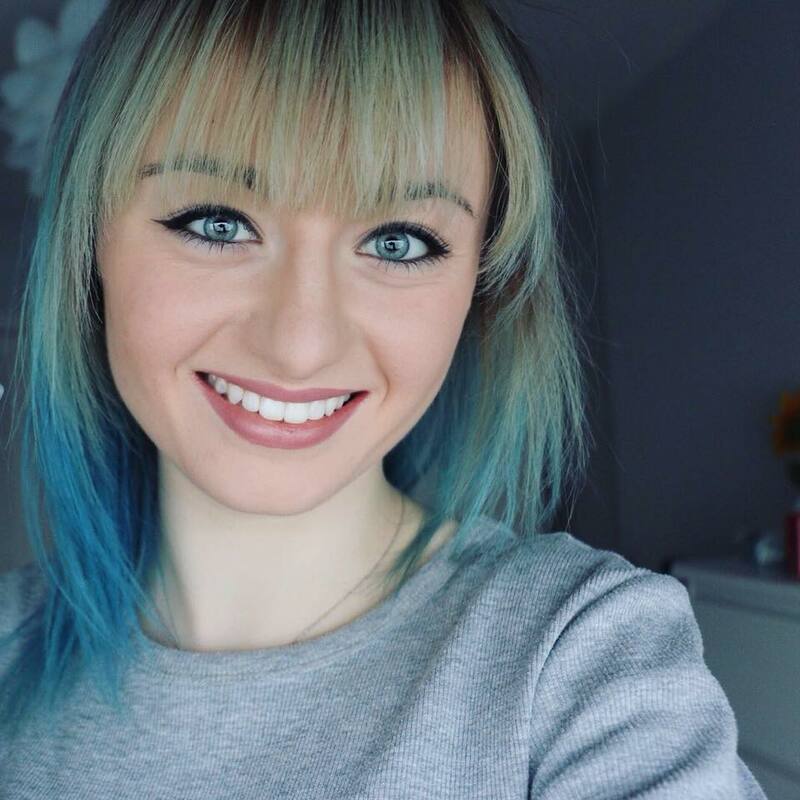 In winter it is a little more important to get your 8 pints of water in the day as your skin needs it to stay hydrated which prevents you looking pale and gaunt. I have been told it is good also if you suffer from dark circles or find it harder to wake up in the morning (I am sure we all feel like that, especially on a dark, frosty Monday morning). Drink a pint before bed, and a pint when you when you wake up. 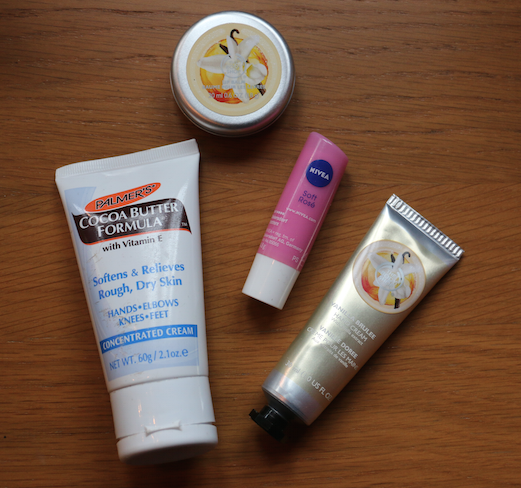 I hope you enjoyed a little insight into the things I'm currently using when it comes to my hands and lips.